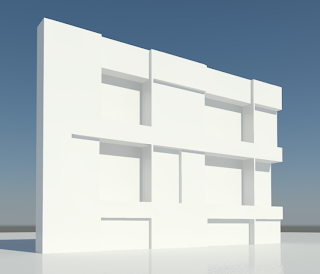 For me, Curtain Walling in Revit is still lacking in some basic functions like the ability to apply a rhythm (irregular pattern) to the surface using the basic wall tool. David Light has posted an interesting article and video clip on some interesting ways to explore new ideas with paneling. I did manage to come up with a primitive solution to creating irregular patterns which I will be posting shortly (different to the subject below). In the mean time, have a look at this great article. Thanks David! 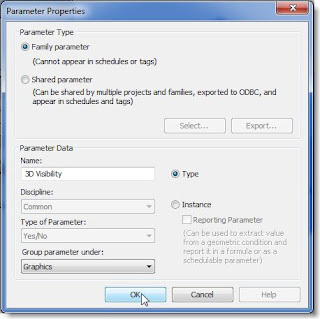 "I must admit, I don’t know why I hadn’t picked up on this one before, but at RTC USA there was an interesting discussion that took place as well as being highlighted by Harlan Brumms in his class on solving common Autodesk Revit Architecture problems on using reporting parameters in curtain wall panel families. 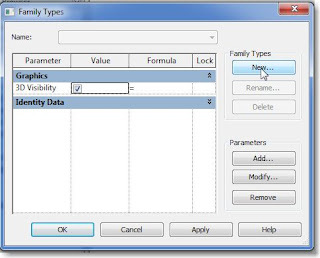 This got me thinking, if reporting parameters can indeed be used in curtain wall panel families, they should be able to drive the depth of panels. If you can report the width & height of a panel, this will provide you with an area value. 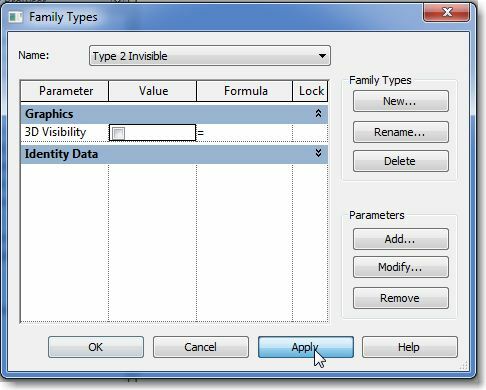 This could then be used in conditional formula which will parametrically alter the overall depth of individual panels. 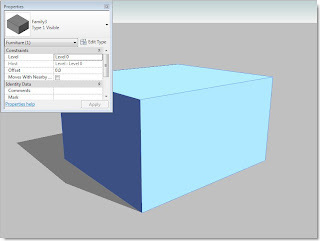 For this exercise I started with a curtain wall panel.rft..."
If you didn't get chance to make it out to Autodesk University in November last year to learn about Revit and other products, Autodesk have compiled some of the highlights in this short video covering the whole event. Ralph Montague has started a new Revit User Group in Ireland and is looking to host the first session soon! Details listed below. Revit Users Ireland Group are pleased to announce our first group meeting (see details below). If anyone from other groups happen to be in Dublin that day, please feel free to attend, or share this with your colleagues from Ireland. We’ll meet in the Gingerman Pub (Fenian Street) afterwards, for some networking/socializing. Will Revit users fly with this device? 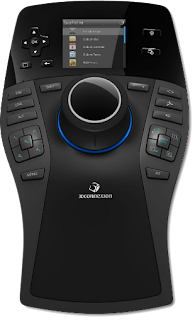 An in depth review of the 3D Connexion The SpacePilot™ PRO has been carried out by Michael Anonuevo over at Club Revit and its worth a look if your interested in what these gadgets can do. The first thing I did was visit 3Dconnexion’s website to learn about their products. In the internet, I read a lot of articles and reviews concerning their product line. Apparently, they have been around since 2001. 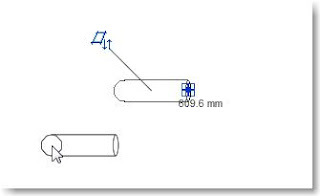 Their products are popular in the manufacturing industry as navigation tools in CAD/CAM modeling and simulation applications. In the film industry, they are used for navigation and visualization with popular animation software such as Maya, Alias, Blender, etc. 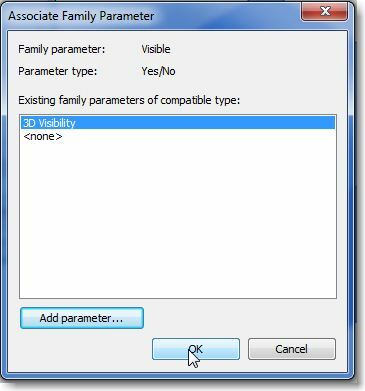 Although Autodesk is officially supporting 3Dconnexion’s products, I couldn’t find any information on how they are being used in Revit. A lot of product reviews by design engineers have affirmed their usefulness though. Nonetheless, I was a little bit skeptical. The regular mouse, after all, does a good job as a navigation tool in Revit. My thought then was to get hold of a unit and test it. Not knowing anything about 3Dconnexion’s navigation devices, I contacted them. I sent an email with my credentials and asked if I could evaluate and review their SpaceNavigator. Within a few days, I was contacted and informed that the company was sending me the SpacePilot PRO. 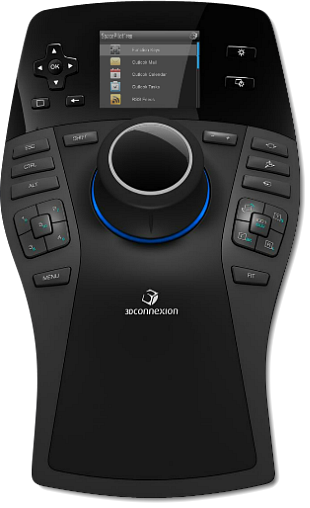 This is 3Dconnexion’s top of the line model. 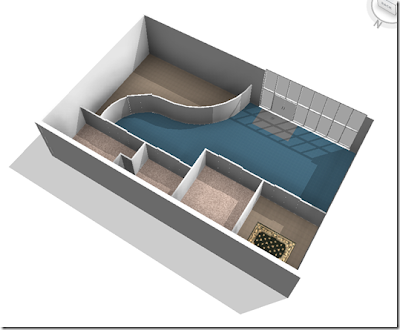 Modelling Floor Finishes–The FAST way! 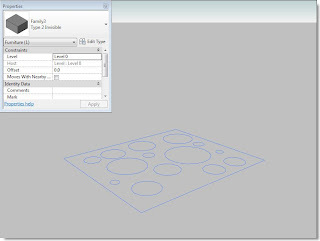 Great blog from Joe Stott over at Revit Scratchpad showing a highly innovative way of creating floor finishes in a Revit model. Something which has baffled many people for a long time. I think although this is a workaround, this really is a workable solution and would like to see it become a specific tool in the next release of Revit. Thanks Joe! "Well, after a little Twitter banter between myself and David Light last night regarding modelling floor finished I appear to have spent the day trying to figure out how we can model floor finishes within our projects efficiently. 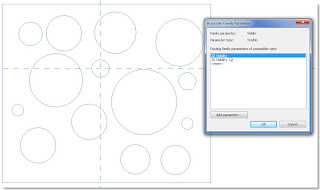 I say efficiently because this is something we have tried before but found it to be pretty labour intensive and a little too similar to polylining in AutoCAD for my liking. Previous attempts of modelling floor finishes using thin floor types proved painfully slow and inflexible.. Whilst this approach did achieve its purpose of providing us modelled floor finishes it entailed endless updating when things changes such as wall build-ups. When this happened we had to modify the sketch of the floors to match the new wall face (and yet we could of locked it but i hate locking the model down too much). The alternative to this would be use the room parameters to provide floor finish information which is OK but only gets you so far. As soon as a room contains more than one finish (which they almost always do) this method either becomes overly complicated or else breaks down completely. I was asked in a training session the other day how to control the position of jpeg images imported into elevation views within Revit. Straight away I was on the internet trying to find some sample images to use as a demonstration. The samples I found made the group laugh so I thought I would use the same images when blogging about it. 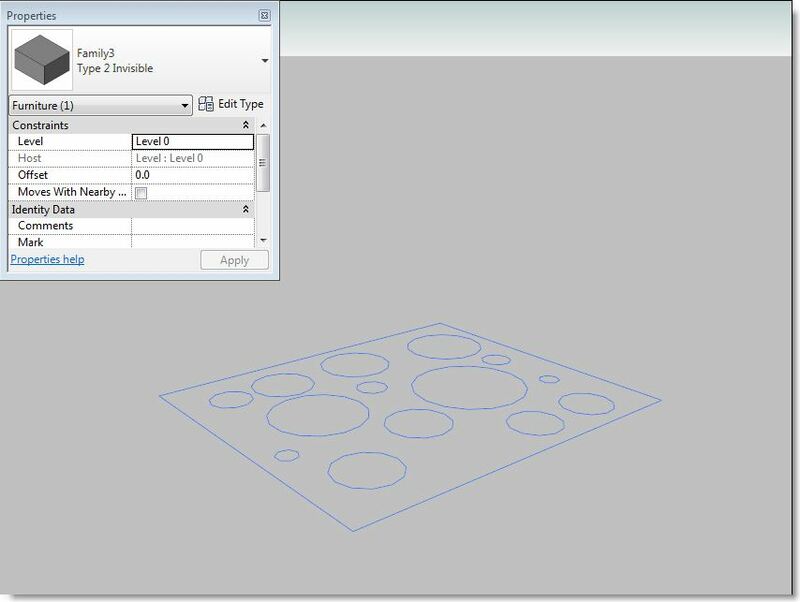 Images imported into Revit can be brought in using the Decal or Image icons on the insert Tab. There are distinct deferences between the two. Decal: Allows an image to be placed onto a 3D planar surface within the model but only displays the image if the view is rendered. 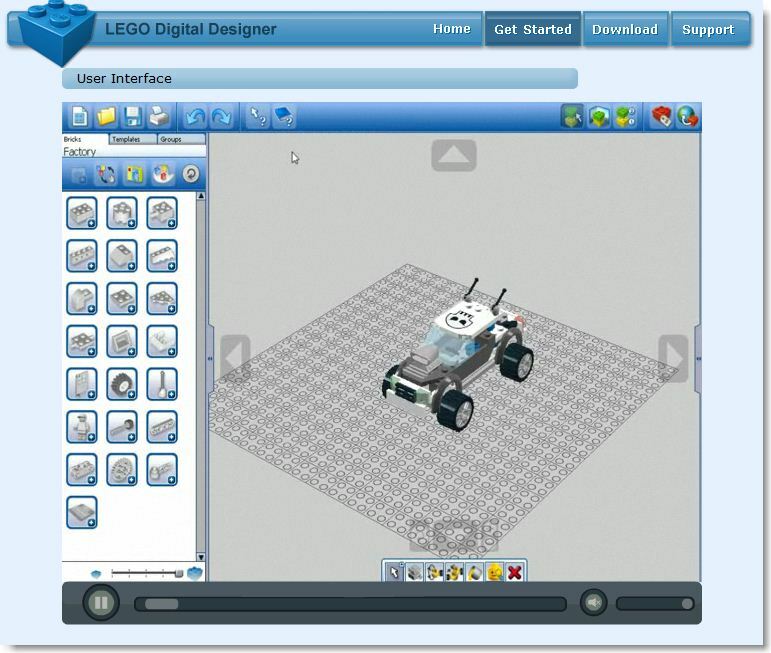 Image: Allows an image to be brought into a 2D view and displays in all views except for 3D and rendered views. The screen shot below shows a series of walls all staggered in depth. 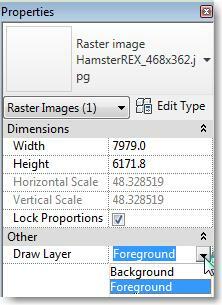 I've imported an image of what appears to be a giant Hamster and by default, when placing the image it is set to background. The Hamster peeps over the wall! It is possible to change the position of the image but the available options are quite limited. Select the image, in the instance properties you will find an option to adjust the draw layer. You can change it to foreground. The Hamster jumps in front of the walls and is displayed in the foreground. The problem with the Hamster being in the foreground is that the image has a white background and masks out the walls (so it doesn't look normal, well... as normal as a giant Hamster on a wall could be). If you want images to display in the foreground, the solution is to use images with transparent backgrounds. The .png file type supports transparent image backgrounds and can be loaded into Revit. Ok so now I need a .png image with a transparent background so I can demonstrate how the images look. Back to the Internet again! The first thing I found was a clan of Wookiees. Good enough! Here you can see the Wookiees have been loaded into the scene and set to foreground. Notice there is no background and they blend in naturally with the wall (honestly). 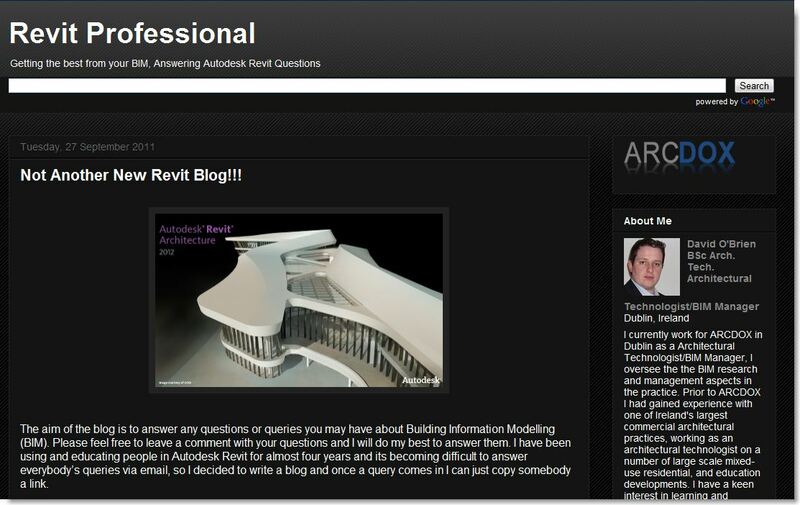 So there you have it, Wookies and Hamsters in a Revit blog. I'm pretty sure this is a first. Obviously if you apply these techniques to your building elevations you will realise that you can now load in people, trees, cars etc using the Wookiee technique, and for a Sky or background image use the Hamster technique. All without the need to export your images to Photoshop for final editing. 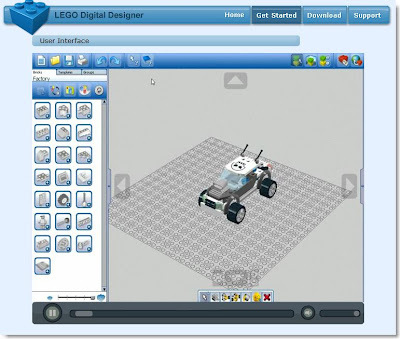 Lego BIM. Just how far behind the times are we? James Austin of _Space Group has written an article in the BD on Lego BIM which I find very interesting. It makes me question how much our minds have been channelled down a particular procurement route through the traditional design methods and education system. The Architectural gene pool is just too small, it's becoming inbred with inherent mistakes which are accepted as being the norm because we don't know any different (Cave man grunt). The Lego BIM idea in my view is a breath of fresh air and certainly gets you wondering why we have let this one pass by unnoticed until now. Go spread the diminishing seed of Architecture and flirt with other industries! On a lighter note this week, I saw an article from The National Building Museum in Washington DC, about their exhibition “LEGO Architecture: Towering Exhibition” and it reminded me of a few things that pop up in many of my presentations. 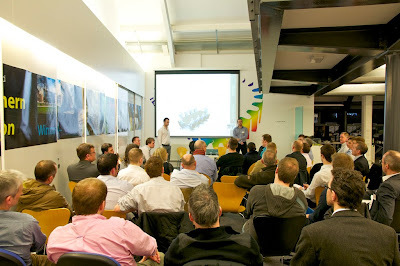 Last night saw the first Revit User Group meeting in Leeds, UK. The group was established by Glenn Jowett and myself to address the gap in the Revit community for the midlands and the North of England. Initially after sending out the invites for firms in the region to join the group, we were hoping for a modest 10 – 15 attendees, but were completely shocked when we received 50 confirmed attendees. There were a few empty seats on the night so I’m assuming around 45 attended but what a great turn out. There was a nice mix of disciplines in the room with a balance of Structures and Architecture along with a few die-hard MEP users. A big thank you to Buro Happold for sponsoring the first event by hosting the venue and providing refreshments making the night an even more pleasurable experience. The session was opened with a brief introduction from Glenn and I, followed by a 30 minute open floor discussion about what the attendees wanted from the group: Suggestions ranged from best practice workflows to fee scales and the wider picture of who actually benefits from BIM? Some great suggestions for topics of discussion for future events have been noted, and will be useful to plan out the forthcoming events on a bi-monthly basis. 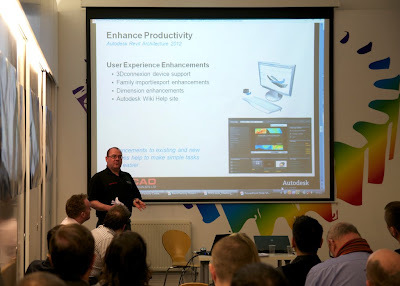 Following on from this, Simon Dickinson from MicroCAD provided the group with a sneak peek at what’s new in Revit 2012, with some interesting new additions to the software. I’m not going to post the features here as it looks like they have been blogged to death by everyone else over the past few days. 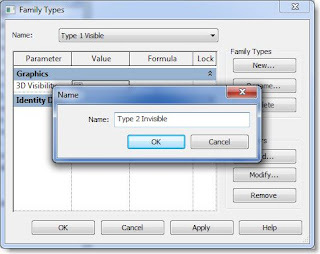 To find out more on this subject, you can check out David Light’s blog for a great honest summary of what’s going on with Revit 2012. Finally the group sat down after a short break to listen to James Austin and Adam Ward from _Space Group: They provided a very impressive presentation and live demonstration of what they are calling the 'BIG BIM' approach to designing, manufacturing and constructing the _spacehus modular eco home. You can find out more about it at www.bigbim.co.uk. To summarise, they’ve been thinking outside the box and have broken the mould on what I would call traditional CAD and even traditional BIM processes (even though BIM hasn't really been around long enough to warrant the term traditional). They've pushed the boundaries of BIM and demonstrated how to squeeze every last drop of data out of a 100% parametric BIM model, driving everything from energy consumption to the cost and quantity of nuts and bolts. They even radicalised the way in which the information is issued to the team who would assemble the building on site via animated assembly instructions an mobile devices. James likened the idea to an 'Ikea' style instruction kit for assembling a building (which I thought was a great analogy). He also demonstrated how product assembly and product technology has progressed massively compared to the way in which we produce building assembly data. 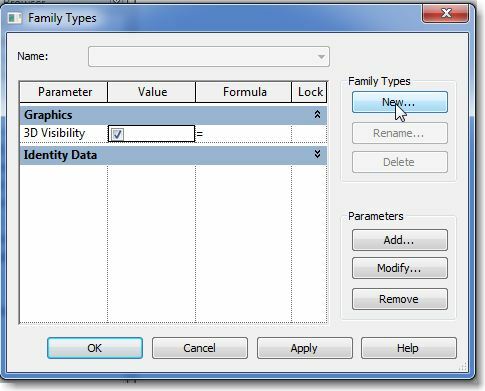 After the presentation, Adam jumped into Revit and provided a live demonstration of some of the parametric formulas driving the interdependent families within the model. He broke it down in to simple stages of assembly with only 19 families existing in the model in total! I had my doubts about the speed at which the parametric relationships would update based on one change such as building length or wall length. 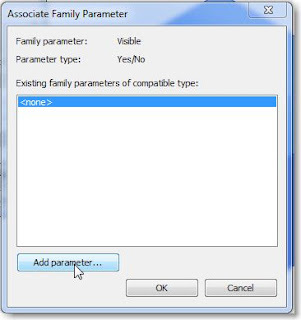 I was surprised to see that the relationships updated very quickly considering the complex arrays built into the sub-assemblies of the Revit families. Adam did point out that this level of development in a model is not the norm but in this case it was an exercise to push the boundaries of what can be achieved in the software and BIM. I’m looking forward to seeing this project progress and will be interested to see the outcome. Last but not least, we headed to the Adelphi pub at the end of the street for a few drinks and a chat. (In hindsight I think we should have warned that landlord of the 40 or so extra punters descending on his bar at 9pm). Crowded would be an understatement. I’m looking forward to planning out the next few meetings with Glenn and will be posting the details on the user group site over the next month or so. Whenever I want a sample project to test something with I always forget where the Autodesk sample projects are stored for Revit Architecture. Once they disappear from the dashboard screen its quite hard to find them again. You would think they would be stored with the Metric Library (or at least in a similar location), but no, they are scattered around your hard-drive in a random location much like all Autodesk files. 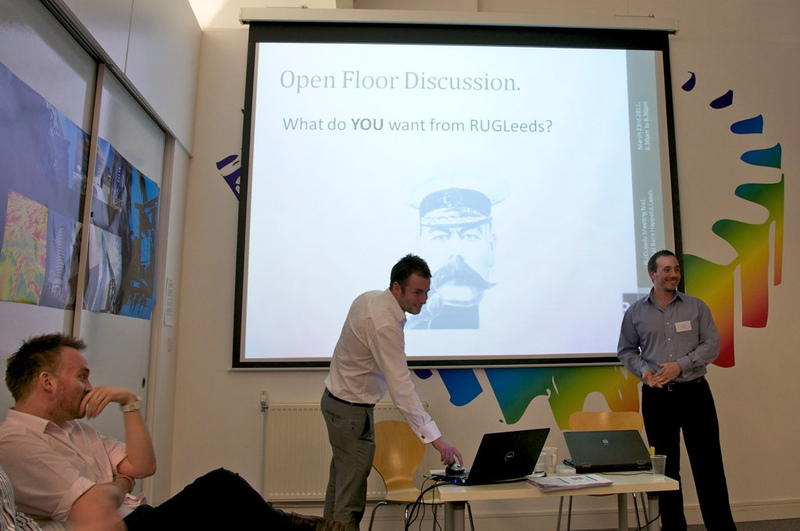 We are pleased to announce the date for the first Revit User Group Leeds meeting. Buro Happold have kindly offered their Leeds office as the first venue. Details of the event including agenda for the first meeting can be found by following the links below. 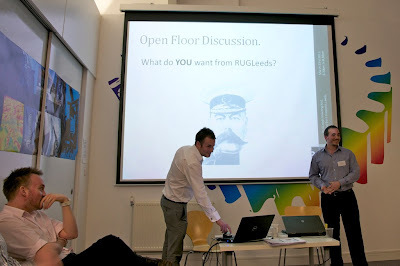 Members of the RUGLeeds Linkedin page should RSVP via the above link so we can gauge interest. 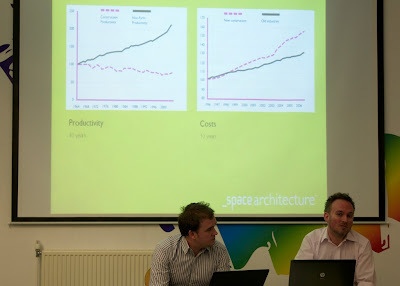 Presentation – Guest Speaker (45mins) – Space Architecture. 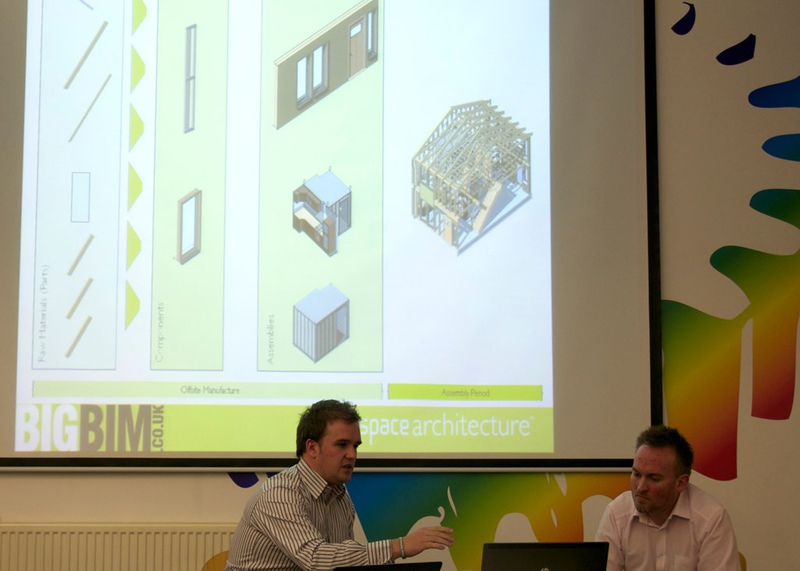 James Austin and Adam Ward from Space Architecture will be demonstrating how they have used their BigBim (www.bigbim.co.uk) approach in designing, manufacturing and constructing the _spacehus modular eco home. 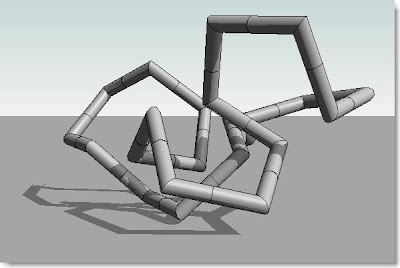 Focusing on how parametric modelling techniques have enabled the process. 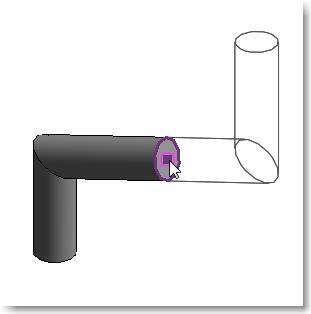 One of Phil’s comments was that it is quite hard to get the components to align correctly when attaching to the face of the previous object. I had a play around with this technique and came up with a solution which means you can align elements accurately with no effort at all (well, without using align at all!). To add to this; you don’t need the objects to be straight when connecting them together. How do we do it? 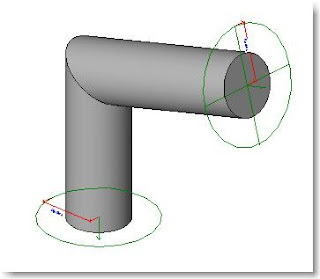 The answer is to add a pipe connector to the object. Connectors are not limited to MEP so this can be done in any Revit discipline. 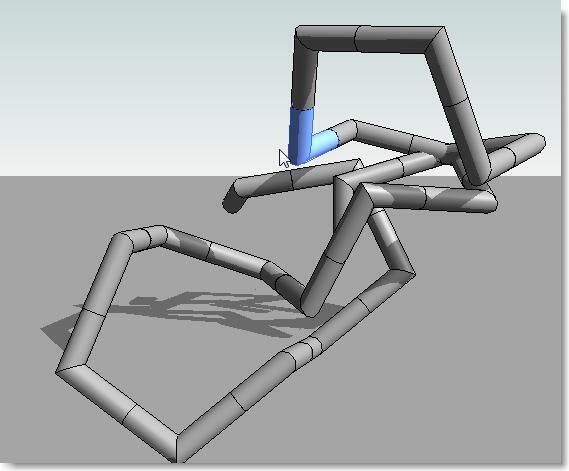 Here you can see I have created a Generic Face Based Pipe with parameters to control its height, branch length and branch angle. I’ve added a pipe connector to the underside and also to the end of the branch. When loaded into a project I can place the first Item in plan using the Place on Work Plane option. Next, in a 3D view (or any other view) I can start adding more face based objects snapping to the connectors for ease of placement. By pressing space I can also toggle the orientation of the components as they are placed. One thing I have noticed is that if you want to add multiple components one after another you need to press escape after placing a component in order for it to find the snap point again. 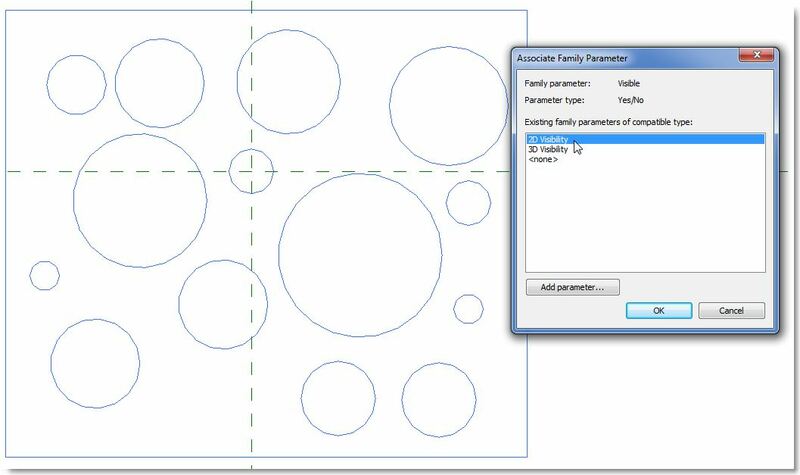 Selecting one of the families and pressing space will completely reconfigure the shape to something new. Rainwater Pipe and Gutter fittings & accessories. Parametric modular tall building design. These are just a few ideas but I’m sure there are plenty more to be explored. If you discover any more ideas please share them! 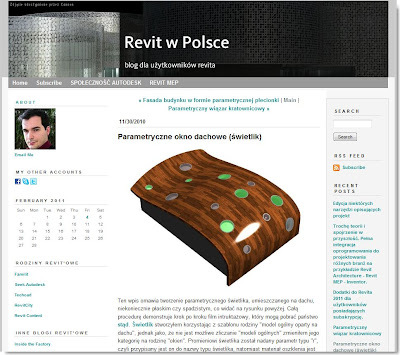 For anyone working with Revit over in Poland; I was recently told about a blog which may be useful (written in Polish). If you subscribe to AEC Magazine and you're interested in Rendering, check out our tips on the link between Revit to 3Ds Max. View the article online here. 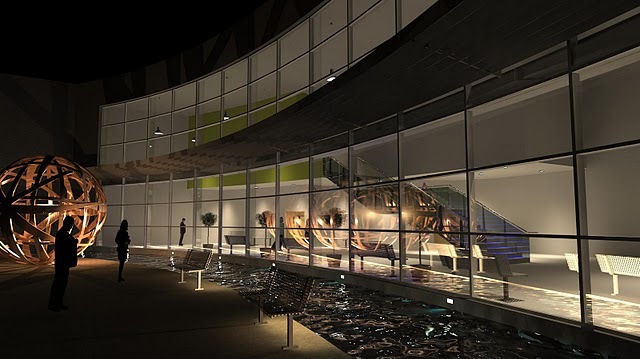 Tim Power from architectural 3D imagery and animation company Virtual Resolution and Chris Senior from BIM consulting firm Revit Factory share their tips on how to best to use Revit BIM models to create advanced 3D visualisations. Paul Woddy from Revit Guru has written a great article on the AEC (UK) BIM Standard one year on from it's first publication. You can read the article in the latest edition of the AEC Magazine. Last year saw the launch of the AEC (UK) BIM Standard for Revit. As we approach the first anniversary of its launch, we take a look at how the standard has been received. By Paul Woddy. Its great to see the standard has been implemented by some big firms and hopefully many more will follow suit and adopt it over the forthcoming year. Today i was working with a firm who had Revit 2009, 2010 and 2011 installed on all their machines. Apparently the latest service pack for Revit 2010 has screwed up the thumbnail for all families. Having looked around the web there are thousands of solutions for this issue back when people were upgrading from 2009 to 2010 but none relating to 2010/2011. Until now! [XP: click Run... and type cmd]. The command prompt dialogue is launched. 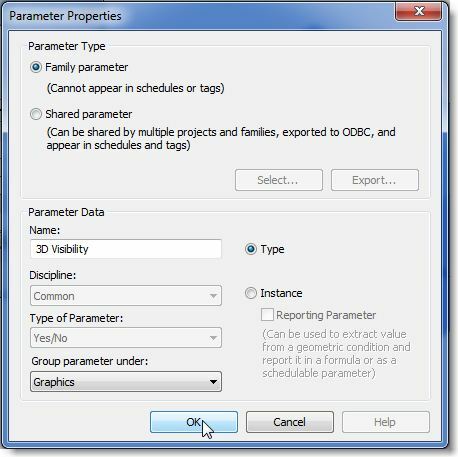 Note: This example is for Revit Architecture. Change the file path accordingly if you are using a different version or if it is installed in a different location. regsvr32 "C:\Program Files\Autodesk Revit Architecture 2010\Program\Revit.FilePreview.dll"
If successful you will see a dialogue box advising that the dll has been registered. You may have to reboot your machine to see the changes take place (but it worked straight away for me). Well its been a long time since my last blog. We have been really busy developing a new software application for Revit which is aaaaaalmost ready for release so that's been taking up most of my time. I was contacted today by someone who needed help controlling the visibility of 2D and 3D geometry by Type. I sent through some screen shots to help so thought it would be worth posting on here as well. 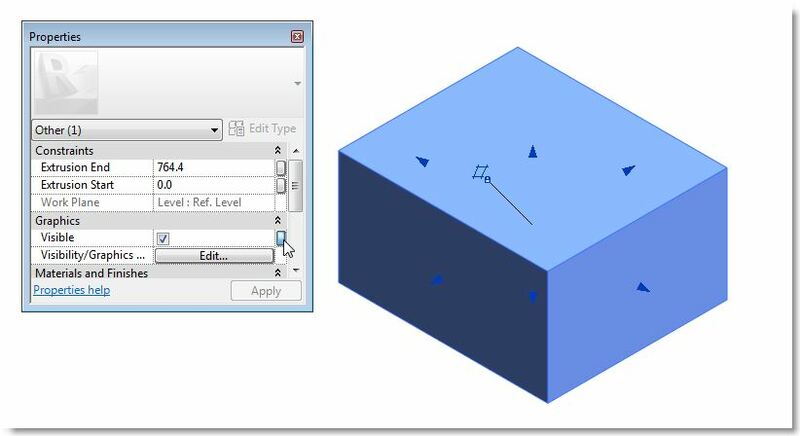 Select the 3D geometry and within the properties, map a parameter for the visibility control. 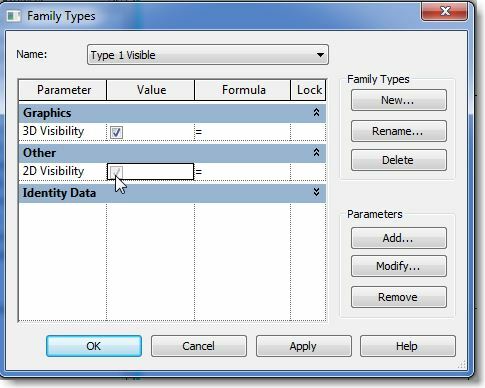 Notice the visibility check box cannot be controlled any more as it is controlled by our parameter. Here in plan view I have drawn some model lines which will appear in a 3D view. Add a parameter to control all the lines in the same way we controlled the 3D box. 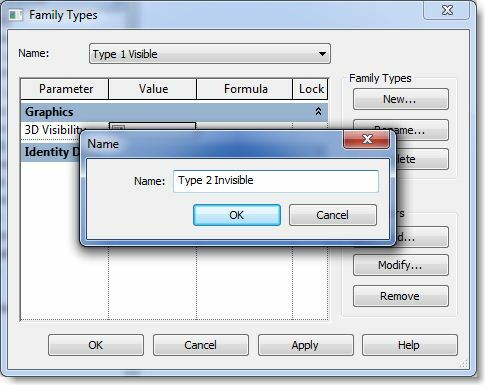 Open the Type Editor and uncheck visibility for Type 1 (remember to hit apply!). Load the family into a project to test the visibility controls. The view below shows Type 1 (3D Geometry turned on). 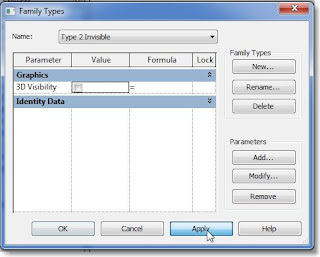 Change the family to Type 2 to see the 2D Linework without the 3D box.